Human Rights Activists News Agency (HRANA) – Judge Mashhadi presided over two lengthy court sessions September 24th and 25th in order to resolve deficiencies in the case files of Zahedan prisoners Abubakr Rostami, Sajjad Baloch and Bandeh Chakerzehi (Chakeri), who were issued death sentences in August 2017 from Branch One of Zahedan’s Revolutionary Court. In the initial trial, all three were charged with “acting against national security by collaborating with anti-regime groups” and “Moharebeh” (enmity against God). An informed source told HRANA that authorities at the court sessions, which lasted more than five hours each, pored over evidence submitted against the prisoners by the Islamic Revolutionary Guard Corps (IRGC). So far, the evidence submitted is not anticipated to adequately support their convictions. “Barring any more reliable documentation to substantiate the claims of the IRGC representative, including documentation of the location of their arrest, it is looking more likely that they could be acquitted of the Moharebeh charge,” the source said. 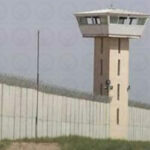 When the last court session drew to a close, the three prisoners were transferred back to Zahedan Prison and told that the court’s decision–or request for further information–would be forwarded to them in the prison. 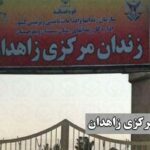 On August 30, 2018, HRANA reported on the transfer of death row prisoner Abubakr Rostami back to the general ward. He had been sent August 28th from Zahedan’s Ward 4 to the Detention Center of the Intelligence Office of the IRGC for unknown reasons. Earlier, Baluch, Chakerzehi, and Rostami proclaimed their innocence in an open letter, saying that the accusations against them were baseless, and relating physical and psychological tortures they had experienced at the hands of the IRGC. All three were arrested December 13, 2017, in Pakistan. In the aforementioned letter, Rostami wrote of his trip to Pakistan, which was planned amid arrangements for a study abroad: “Due to border limitations, I was forced to travel through Pakistan to get to [another] foreign country, but I was arrested midway and handed over to the IRGC,” he wrote. A second-year medical student at Zabol University of Medical Sciences, Rostami has spent the past three years in prison. 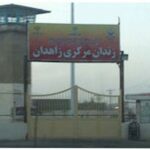 Human Rights Activists News Agency (HRANA) – After being read their charges, two residents of Saravan (Sistan and Baluchestan Province) who were previously arrested by security forces and transferred to the Islamic Revolutionary Guard Corps (IRGC) Intelligence Detention Center, were transferred to Ward 1 of Zahedan Central Prison. HRANA has confirmed the identities of the detainees as Najib Dehvari, 21, and Abdolshakur Sotoudeh, 22. Although several others are likely to be arrested and transferred to prison in connection with this case, no further information is currently available. Human Rights Activist News Agency (HRANA) – On the evening of Thursday, August 30, 2018, Abubakr Rostami, a political prisoner on death row, was transferred to the General Ward of Zahedan Prison after being sequestered in an IRGC detention center for two days. Rostami was originally taken from Zahedan’s Ward 4 into IRGC custody for reasons that HRANA has not yet been able to confirm. Rostami was among a group of political Zahedan prisoners who addressed a letter to UN Special Rapporteur Javaid Rehman, imploring him to advocate for political prisoners’ rights. Rehman is the UN’s designated expert on the human rights situation in Iran. In an open letter co-written by Bandeh Chakerzehi and Sajjad Baluch — the two arrested with him on September 16, 2015 in Pakistan – Rostami proclaimed their innocence, stating the IRGC and Intelligence Agency exerted physical and mental torture on them on charges that were “bogus”. In the letter, Rostami wrote of the trip to Pakistan he was planning in anticipation of making arrangements for continuing his studies [abroad]: “Due to border limitations, I was forced to travel through Pakistan to get to [another] foreign country, but I was arrested midway and handed over to the IRGC,” he wrote. A second-year medical student at Zabol University of Medical Sciences, Rostami has spent the past three years in prison. In August 2017, along with Chakerzehi and Baluch who were on trial for the same case, he was sentenced to death by the Revolutionary Court of Zahedan on charges of “Moharebeh” (enmity against God) and “Acting Against National Security through Cooperation with Opposition Groups”. No further details on their case or charges were available. *Zahedan is a county in the Sistan and Baluchestan province. Human Rights Activist News Agency (HRANA) – Abubakr Rostami, a political prisoner on death row, was transferred from Ward 4 of Zahedan Central Prison to an IRGC detention center on August 28, 2018. To date, HRANA is unable to confirm the reason for his transfer. Rostami was among a group of political prisoners in Zahedan who addressed a letter to UN special rapporteur Javaid Rehman, imploring him to advocate for political prisoners’ rights. Prior to this, in an open letter co-written by Bandeh Chakerzehi and Sajjad Baluch — the two arrested with him on September 16, 2015– Rostami proclaimed their innocence, stating the IRGC and Intelligence Agency exerted physical and mental torture on them on charges that were “bogus”. A second-year medical student at Zabol University of Medical Sciences, Rostami has spent the past three years in prison. In August 2017, along with Chakerzehi and Baluch who were on trial for the same case, he was sentenced to death by the Revolutionary Court of Zahedan on charges of “Moharebeh” (enmity against God) and “Acting Against National Security through Cooperation with Opposition Groups”. No further details on their case or charges were available.